The VG Series bagging scale weighs products with bulky or erratic flow characteristics with extreme accuracy. 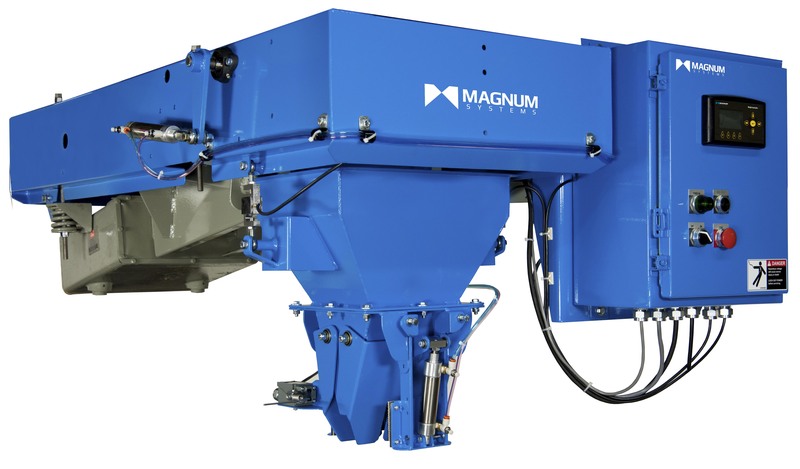 The vibratory feeder moves the difficult material from the hopper to the bag. It utilizes an adjustable two-speed feed rate on the feeder to provide the best combination of speed and accuracy for difficult products.